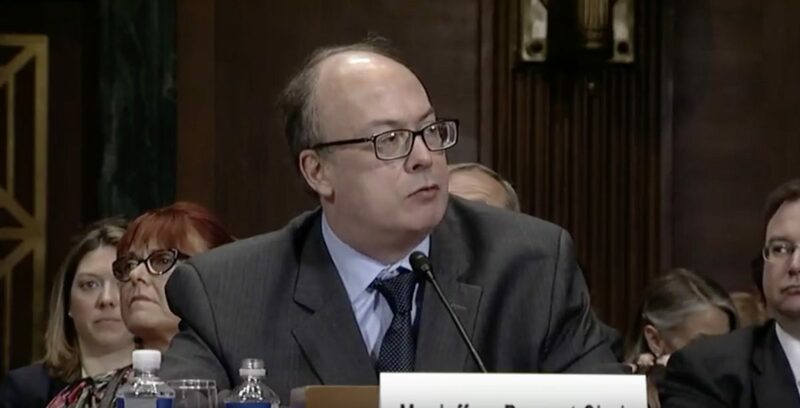 The Senate confirmed Jeff Clark to lead to the Department of Justice’s Environmental and Natural Resources Division (ENRD) Thursday after sitting on his nomination for more than a year. Clark has worked in Washington, D.C., for more than two decades, largely in private practice at the law firm of Kirkland and Ellis. Between 2001 and 2005, he led the ENRD under former President George W. Bush. Clark has extensive experience navigating administrative law, according to the White House. His time working in the DOJ under Bush had him involved in nearly every significant environmental case of the federal government in that time. Environmentalists have opposed Clark’s nomination for months, arguing his nomination would gut environmental regulations in favor of industry activity. “Everything Jeffrey Bossert Clark has done in his career to date proves he can’t be trusted to defend and enforce the environmental laws that protect our communities,” Sierra Club federal lobbying and advocacy senior director Melinda Pierce said in a July 2017 statement as Clark’s nomination was coming up for a vote in the Senate Judiciary Committee. “Clark is the exact opposite of who we need leading our Department of Justice’s Environmental and Natural Resources Division,” Pierce said.